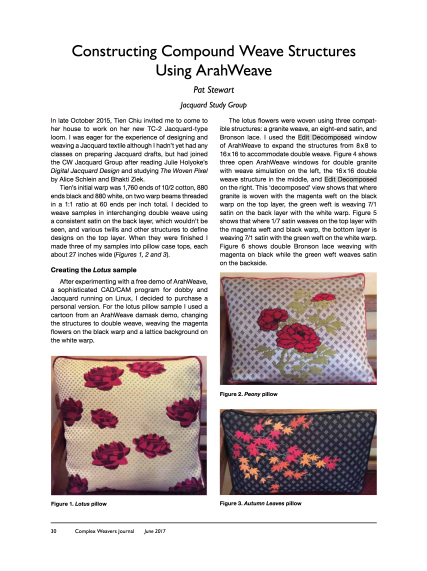 Patricia Stewart, member of Jacquard Study Group, who is also a user of ArahWeave, wrote an exceptional article equipped with rich visual material, explaining the design of lotus pillow fabric in ArahWeave, using Decomposed View for creating double weaves and Jacquard Conversion window for generating the fabric simulation. The article was published in the Complex Weavers Journal. With the author’s kind permission, you can read the whole article here.